Angry Birds is one of a kind success story ever since it launched on the iPhone even though it was a paid game. 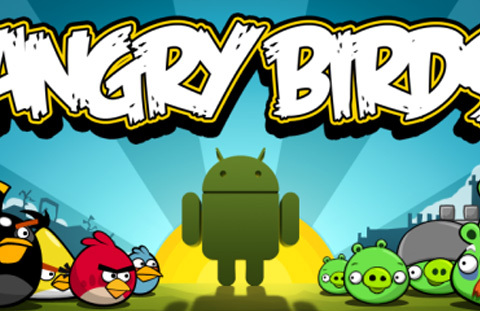 It appeared on Android a couple of months ago and now the developers Rovio have announced that the game will be available for free for the Android market. The game can be downloaded directly from your Android device by visiting m.getjar.com and will soon make an appearance on the Android Market. Both Rovio and GetJar are getting massive traffic right now so it might take a little more time to download. We want to make Angry Birds available for as many people as possible. Previously, many people were experiencing problems in finding Angry Birds on Android Market, but now everybody can download the game on their device. Angry Birds recently made a false appearance in the Windows Phone 7 ads in the media which was later confirmed to be untrue by both parties. Rovio stated that though they are not developing the game for WP7 right now, they’re open to talk to Microsoft and would certainly like to make a WP7 version of the game. Angry Birds has been a huge money maker for Rovio and the platforms it was available on and it’s indeed a great gesture to let go of the big bucks that the game was bringing. A lot of people would obviously download the game who didn’t try it earlier and it won’t be a surprise if we see the game going free for iPhone users too in the near future.